Years ago, researching eccentric libraries for my novel The Remains, I stumbled across the remarkable story of Belle da Costa Greene (1879 or 1883-1950), the African-American woman “passing” as white who became the glamorous librarian to the wealthy Pierpont Morgan. I read her biography and his, and their characters became a starting point for Alice Greene and Sinclair Morgan in my novel. 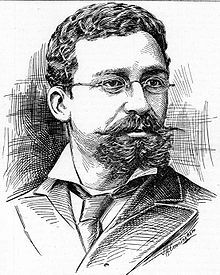 Part of Belle’s extraordinary life is her father, Richard Greener, first African-American graduate of Harvard. But I’ve only just come across the story of the recent discovery of his papers in an abandoned house up for demolition. It is a chapter straight out of a biographical quest, and may yet lead to further rewritings of both his life and that of Belle’s. You really have to read it to believe it, so go on – read it! I put this to one side until I had time to read the story you link to. Yes it is remarkable!. I particularly liked “Greener pillories the tendency to see white behavior as unproblematic and what deviates from those customs as a “problem”.” Now I’ll have to follow up the Martha Nussbaum essay as well.